Here's a quick tip: There is NO quick fix for a woman's self-esteem. Additionally, this page is no joke. Please read on! 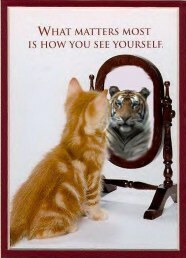 Any real change in your self-esteem will take time and much understanding of your self. The REAL self-esteem building tip listed below really works. Use it, and you WILL see a real difference in a very short time. 1) Fill out the form below and tell us how you want your self-esteem to be. Make it an oath or promise to your self. 2) WomensSelfesteem.com will e-mail you a nice copy. 3)Print it and post it ON your mirror. 4) Read it OUT LOUD EVERY day. 5) Make changes as necessary. The purpose is for you to know what you want of your self and be reminded of that every day. (This works kind of like self-hypnosis.) This "quick fix" tip for self-esteem works very well and it will help you tremendously! If you use a real email address, you will receive a confirmation letter to let you know that we have received your answer. This page is for you to fill out and know who you are now, along with how you want your self-esteem to be. Any information that you have given will ONLY be used for research purposes and no personal information will be used.